Embark on a brand-new adventure in the long-running Dragon Quest series, brought to you by RPG veterans Square Enix. Get ready for the long-awaited fantasy RPG from Dragon Quest series creator Yuji Horii and original character designer Akira Toriyama. Assemble a colourful cast of loyal companions and explore a beautiful, living world. Here you’ll unravel mysteries and engage a whole host of intimidating foes using a new battle system that places a modern twist on the series’ classic combat. 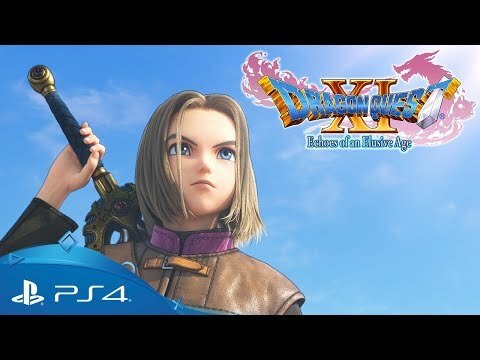 Despite being the 11th mainline entry in the critically acclaimed series, Dragon Quest XI delivers a completely standalone experience featuring an entirely new cast of characters, beautifully-detailed environments, finely-tuned combat and an immersive new story written with both long-time fans and franchise newcomers in mind. In the mood for fantasy adventure?